Located just 25 minutes away from New Orleans and 10 minutes away from the New Orleans International Airport, the Marguerite cottage has a rustic charm and sleeps a maximum of two (2) people. The cottage is easily accessible off of River Road and the parking is free and limited to one (1) vehicle. It has a large bedroom/sitting area furnished with a king size bed, flat screen TV, seating area and armoire. The kitchenette includes a microwave, refrigerator, and an old-time galvanized bucket sink. The bathroom is equipped with a sink/vanity and claw foot tub. We provide the bed, bath, kitchen linens and basic household items. A free tour of our plantation home is included with this rental. Hello All, I work for Destrehan Plantation in Media and Public Relations. I am also an artist who designs indigo jewelry and enjoys photography and traveling. This is a historic location rich in Louisiana History. 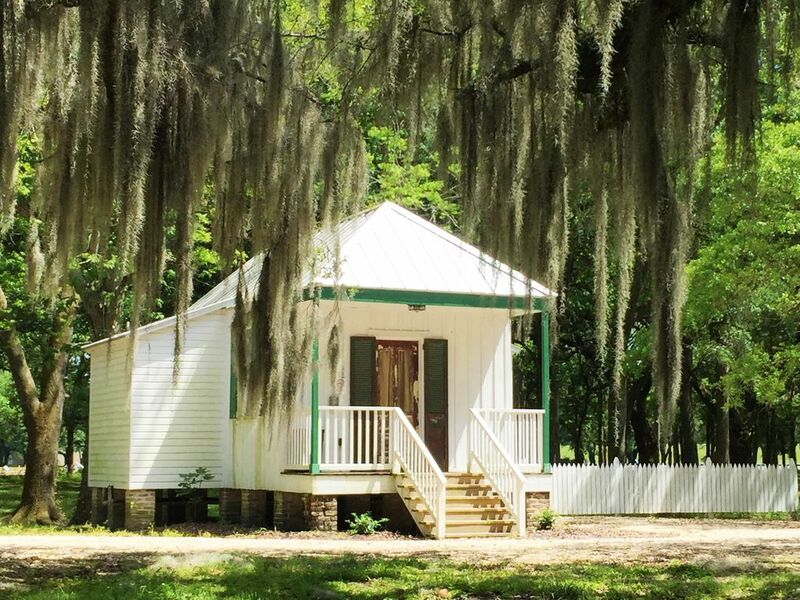 A free plantation tour with cottage rental. The bathroom features a vanity/sink, claw foot tub and toilet. Come explore our grounds and learn the unique history that makes Destrehan Plantation a Louisiana Legacy. We are open for tours seven (7) days a week with the exception of major holidays from 9:00 am to 4:00 pm. A free tour of the plantation and grounds is complimentary with your stay.